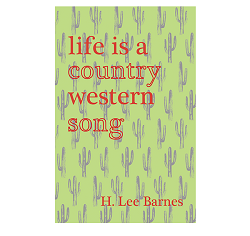 H. Lee Barnes—the award-winning novelist and short-story writer who served as an Army Special Forces sergeant in the Vietnam War—recently published Life is a Country Western Song (Boabab Press, 176 pp., $16.95), a collection of a dozen short stories, all of which focus on people in the contemporary American West. Barnes, who was inducted in 2009 into the Nevada Writers Hall of Fame, received VVA’s Excellence in the Arts Award at the 2013 National Convention. A Piece of My Heart in Raleigh, N.C. Bronze Star: New Drama at Citrus College in Calif.